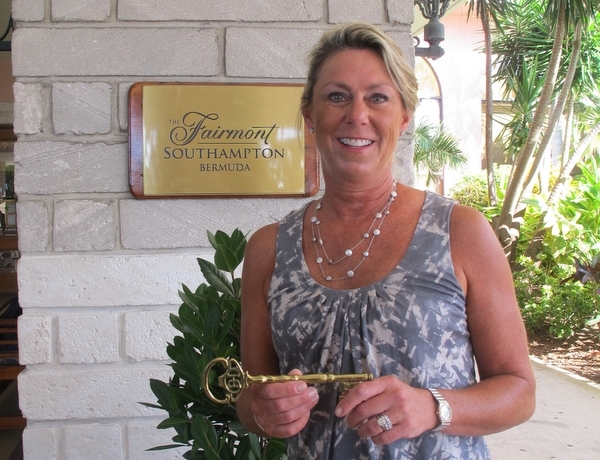 Mrs. Lee Pollock, holder of a rare Southampton Princess Gold Key returned to Bermuda, forty years later still in possession of the key. 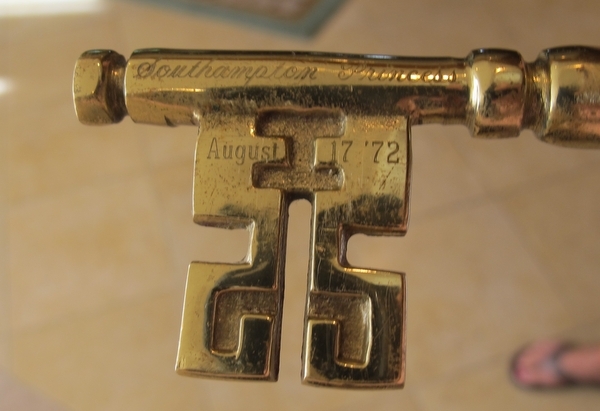 These souvenirs were presented by the then Residents Manager Heinz Shultz to guests who stayed in the hotel’s suites at the opening on August 17th 1972. Real Gold or Plated gold? If real that must be worth a fortune.